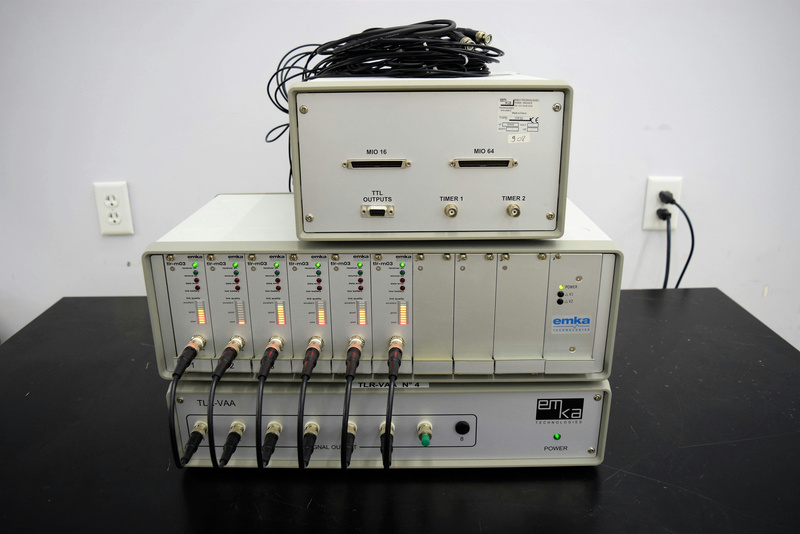 Emka Technologies TLR-VAA Telemetry 6-Channel ECG system . New Life Scientific, Inc.
ECG system for small animal testing. Our on-site technicians visually inspected and connected the ECG cables, and placed batteries in the transmitters. Each one after plugging in the ECG cables would register a connection on the interface. No problems were noted, software and manuals for this system are not available.